While not technically a cable, the Neet sleeve gets a place in this roundup because it can make any cable a little smarter. Kind of like a knitted sweater for your cables, the Neet Cable Keeper is a fabric sleeve with a shapeable wire embedded in it. The sleeve zips open completely and lets you lay your charging cable (or earphones) inside. Once zipped back up, the sleeve not only protects your cable, it keeps it from getting tangled. Also, because of the wire that's hidden beneath the fabric, you can shape the cable to double as a stand for your smartphone. The sleeves come in 3-foot lengths and a variety of colors that can help with identifying your cords. There are a lot of things that my family goes through on a regular basis… toilet paper, toothpaste, shampoo, soap, pens, batteries and power cords to charge cellphones. You have no idea how many times I have had to buy replacement power cables/cords for the cellphones. My kids either lose them, they get damaged or worse yet – the cats chew them in half. After all, to a cat the power cord/cable is nothing but a fun string to play with. I buy replacements so much that I have them bookmarked on my site so I can quickly reorder when needed. Thankfully my kids each have an iPhone 5 so they can share a power cord if need be. My husband has a 5 also (work phone) and both of us have an iPhone 4s, so we can share that cord if need be. My husband and I take better care of them then our kids do. What if there was a solution to this problem that will not only help protect your cables/cords from cats, but also organize them, protect them and even help to identify them (so you know which one belongs to which person). There IS a solution – it’s called the NEET Cable Keeper. The NEET Cable Keeper is a fabric shell designed to protect your cables from frays and ripping (and ideally from cats chewing on them too). The Cable Keeper allows you to form your cables into compact shapes and supports your cables by bearing some of the strain when winding and bending your cables, which can lengthen the life of your cable. There is a zipper zipper pull that helps making insertion of the cable/cord easier. It also allows for you add multiple cables together to help organize all the cords you need in one sleeve. The NEET Cable Keeper is available in 10 vibrant colors – black, light blue, gold, green, royal blue, pink, red, silver, white and yellow. You can assign a specific color to each person in your household or organize a group of cords/cables by color. They are available in 3ft/100 cm lengths and range in price – Universal ($12), Micro-USB to USB ($17) and MFi Apple Lightening ($30). The cords/cables are NOT included with the NEET Cable Keeper. You need to supply your own cable/cord. I have two of the NEET Cable Keepers. One I keep on my iPhone charging cord and the other I keep on the cord for my camera (the one I use to transfer photos from the camera to the computer). We have A LOT of cords/cables for a variety of products. It seems like everything has a power cord these days. It’s hard to keep track of what belongs to what. That is why I like to be able to easily identify which cable I need by knowing the NEET Cable Keeper cover I’ve assigned to it. It makes finding the right cord so much easier. I can even do it without looking (just by the feel of the NEET Cable Keeper). I found putting the NEET Cable Keeper on the cord/cable very easy to do. I think this is the ideal solution for all your cable/cord needs. Not only does it protect them but it helps to organize them too. This is one of those “Why didn’t anyone think of this sooner” products. I wish we had NEET Cable Keepers years ago. It would have saved me a lot of money on lost, broken and cat chewed on cords for the cellphones. If you would like to learn more about NEET Cable Keepers please visit www.NEETProducts.com. 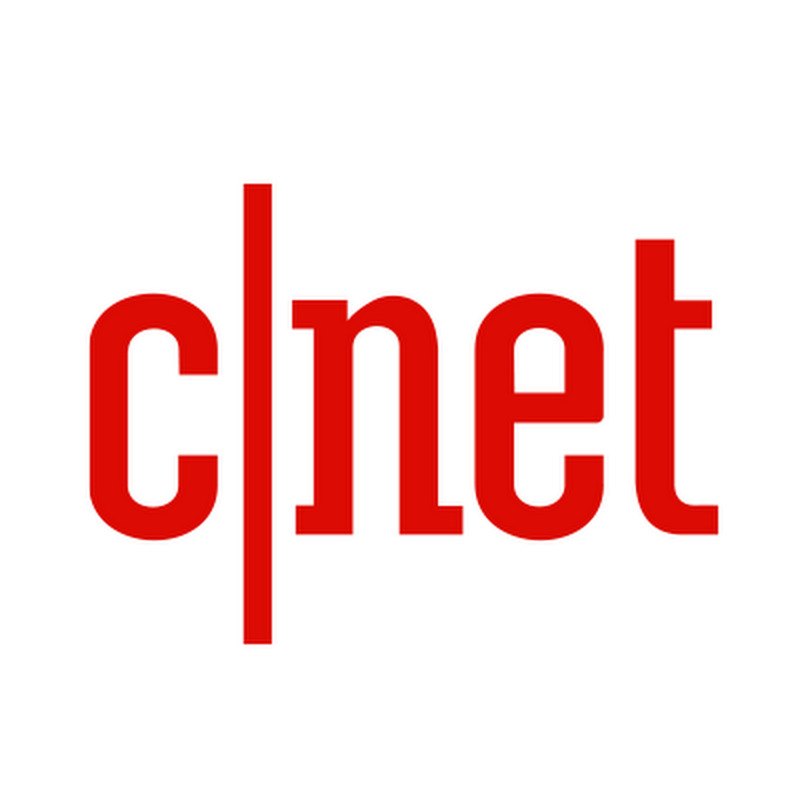 You can also find the brand on social media (links found on their website). What do you think about NEET Cable Keepers? Is this a much needed product in your home? Feel free to share your thoughts. Generally cables are little difficult to manage but NEET Cable Keepers possess an inner wire to hold the actual shape and it provides easy organization as well as management. 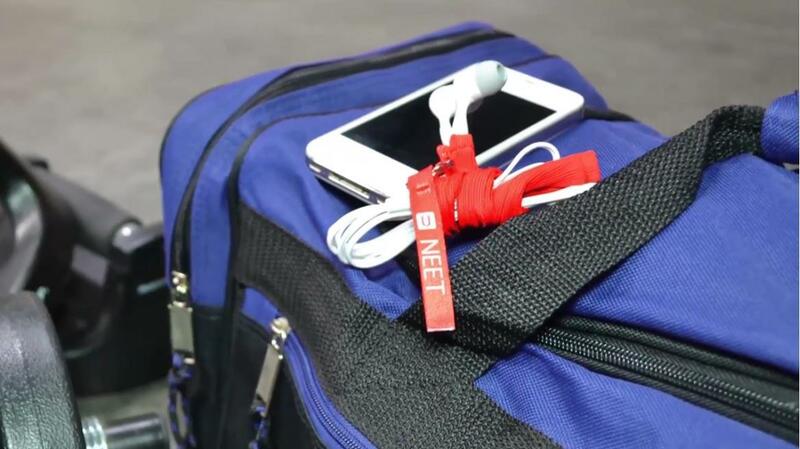 You can easily wrap and wind cables with the NEET cable keeper to place them inside your computer bag and they will surely be nice and neat inside your bag unlike all other cables and cords. The concept behind the NEET Cable Keeper is really very simple. Actually this cable is a strip about three foot long of nylon mesh, a flexible wire is embedded inside this mesh which can be zipped up as needed. Reduce Cable Chaos: This cable consists of a bendable wire inside which can be turned easily into any shape. NEET allows you to wind and bend the cable as needed so you can put them inside a small drawer as well as inside your computer bag without any trouble. You need not to worry about tangles when you are using NEET cables. Protection: If you wind your cables tightly, surely they got damaged eventually due to stress and fatigue but when we use the NEET cable keeper for cables damage stays far away. This wire keeper possesses a nylon mesh as an extra layer so the cables stay protected even if household pets try to chew them (such as an English Mastiff or New Foundland). You will be happy to know that NEET cable keeper is available in eleven different colours. Usually we lose our cables when working in groups (I work in education) since we all have white or black – but with the NEET wire keeper we have a unique color for our cables that can be identified easily. Easy to use: These wire keepers are easy to use because of their slip and zip type construction. You can store more than one wire inside a single keeper depending upon the thickness of cable. It makes for a perfect casing for our cables so we can find them easily when needed. Does your guy love his electronics but hate to keep them organized? 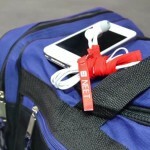 The NEET Cable Keeper ($12) is a cable solution that will organize and protect your device cables while helping you color code them. The zipper pull allows you to install new cables or install additional/multiple cables to give you the ability to organize all the cords you need in one sleeve. The product is available in 10 colors and three styles to suit his taste and needs.